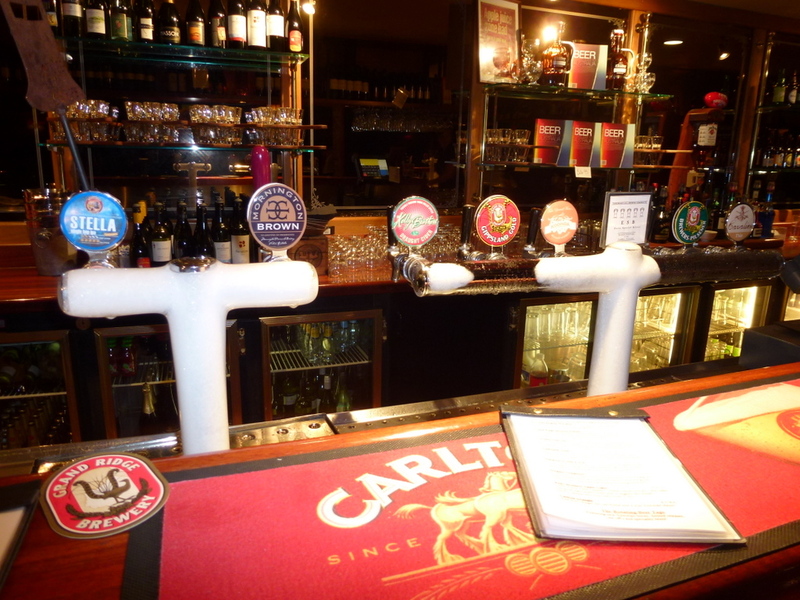 Two days and one full evening in Sydney before returning to Melbourne for a few more days saw me dragging my Australia-domiciled German colleague Carsten to the Lord Nelson Brewery Hotel in The Rocks area of old Sydney, not far from our hotel. While Victoria is perhaps the spiritual heart of the Australian beer renaissance of the past few years it isn’t the only part of the country to partake of the “craft” beer revolution. 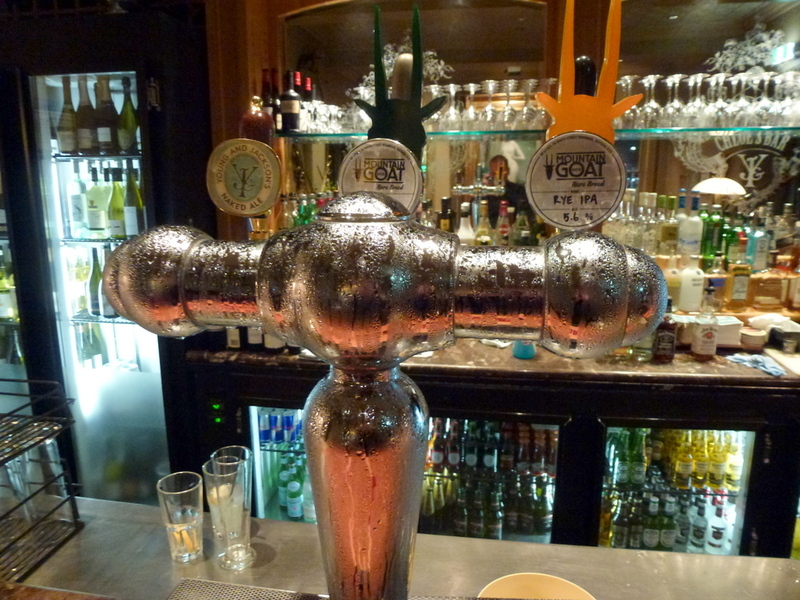 The Lord Nelson Brewery Hotel is a great example of the new beer diaspora the country now enjoys. Indeed, it’s one of the longest standing emissaries of fine beer in the country, having begun brewing in 1986. 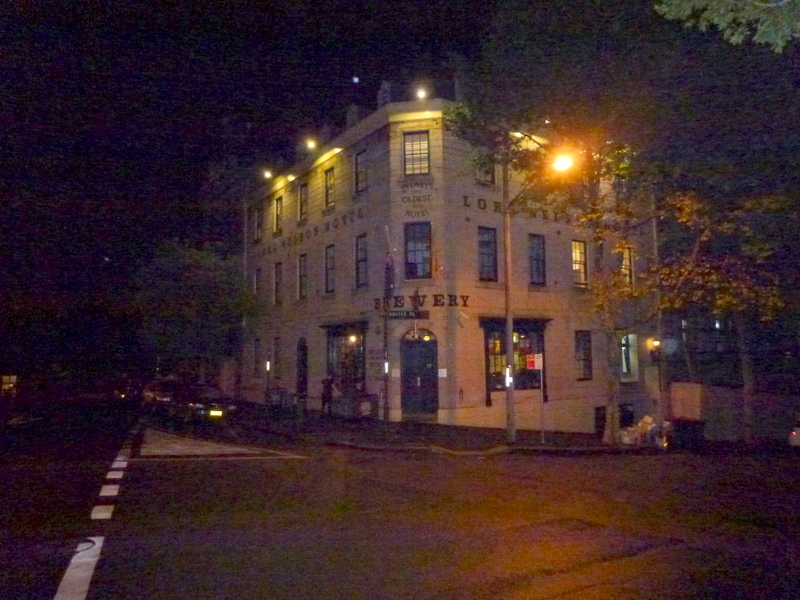 The pub itself apparently dates from 1841, making it the oldest licensed hotel in Sydney. That it primarily makes British-style beers seems only appropriate. That it makes among the most convincing facsimiles of British beer styles I’ve yet encountered overseas makes it doubly worth visiting. While not cask conditioned, the brewery’s publicity indicates they are unfiltered and unpasteurised. Served a little on the cold side, the Lord Nelson’s brews opened up as they warmed in the glass (pints of course) and helped foster an extremely convivial evening with more than a sense of being back home in Blighty. The Trafalgar Pale Ale (4.2%, an English-style best bitter with good amber malt and earthy hop character), Three Sheets Pale Ale (4.9%, a typically floral but well-balanced Australian pale ale) and Nelson’s Blood (4.9%, a suitably dry Irish-style stout) could all stand their ground in a London pub. But it was Old Admiral (6.1%, a vinous and warming English-style old ale ) that really stood out, even though it was perhaps a little over my safe limit for pub drinking. The beef pie and mushy peas were good too. I also took the opportunity to pick up a couple of books at the airport chronicling the rise and rise of the Aussie beer scene. 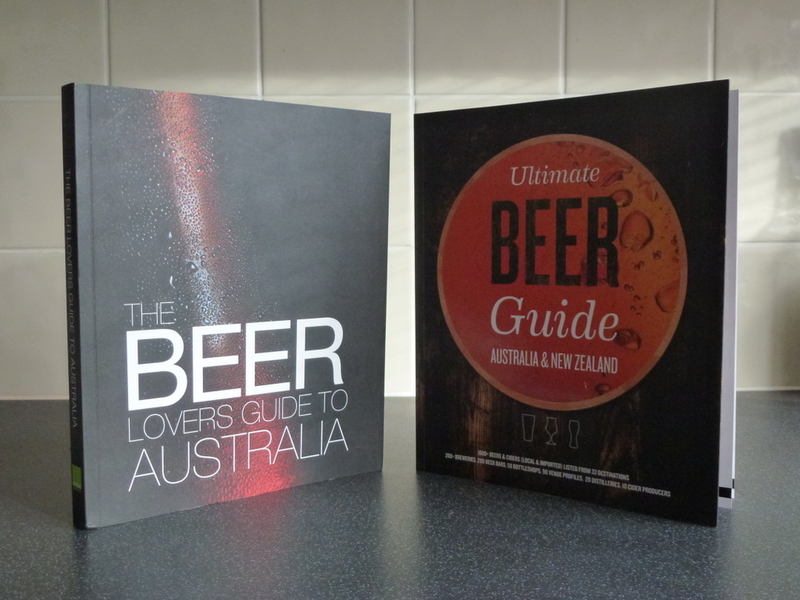 Both Ultimate Beer Guide Australia & New Zealand (Beer and Brewer Magazine, 2011) and The Beer Lovers Guide to Australia (Scribal Publishing, 2010) – neither of which is easily obtainable in the UK – provided deeper insights into the new wave of brewers and bars across the country. Indeed, they’ve hugely whetted my appetite for a return trip although I suspect both will be rendered outdated very quickly. However, they were also to prove themselves more immediately useful when I arrived back in Melbourne. Heading back to Melbourne for a few more days work and a little R&R before heading off on my Far East adventures (which I previously covered here, here and here), I headed off to revisit my personal favourite museum – the Old Melbourne Gaol – before moving on to sample a few of the more interesting hostelries within the confines of the CBD, as described in my new tomes. The Old Melbourne Gaol is perhaps best known as the place where infamous cattle thief, bushranger and Australian icon Ned Kelly was incarcerated and hanged following his gang’s confrontation with the police at Glenrowan in up-state Victoria in 1880. The remaining wing of this Victorian prison (apparently modelled on the original Pentonville in north London) offers an unremittingly grim insight into man’s inhumanity to man in the name of justice and social reform and was a place I’d found fascinating on my first trip to Melbourne in 1998. Just my kind of place, in fact! But where the Gaol may be Victorian, in both age and the state it’s situated in, there’s very little that’s old about the beer renaissance in Melbourne, and Australia in general. First off, I headed to Mrs Parma’s, on the east of the CBD. If it weren’t for its absolute dedication to the Australian (via Italy) pub food par excellence – the parmigiana, which it serves in many varieties – Mrs Parma’s might seem poorly named given its commitment to Australian micro brews and brewers. Grand Ridge Brewery Brewers Pilsner (4.9%): Quality 100% malt, deep gold Bohemian-style pilsner, even down to the use of the traditional Saaz hop bringing the requisite herbal flavours. A very good pilsner that would not seem out of place in Prague or Munich. If only day-to-day Aussie lagers were more like this. Mornington Peninsula Brewery Brown (5%): Despite the brewery’s description, not actually anything like any brown ale from the UK I’ve ever drunk – which is by and large a good thing (ie neither Mann’s nor Newcastle Brown were the points of reference here). This was an enjoyable chestnut-colured beer, shot through with deep toasty flavours and lingering earthy but aromatic hoppiness. Hargreaves Hill Brewing Company ESB (5.4%): Not actually a clone of London brewer Fuller’s original extra special bitter as it uses New World hops, the greater malt (including the unmistakable scent of crystal) and hop depth required of the style certainly made for a flavoursome brew. Very good. Located in Yarra Glen in the Yarra Valley, an hour to the east of Melbourne. My next stop was the James Squire Brewhouse at the Portland Hotel, one of two in Melbourne and one of several in Australia as a whole. 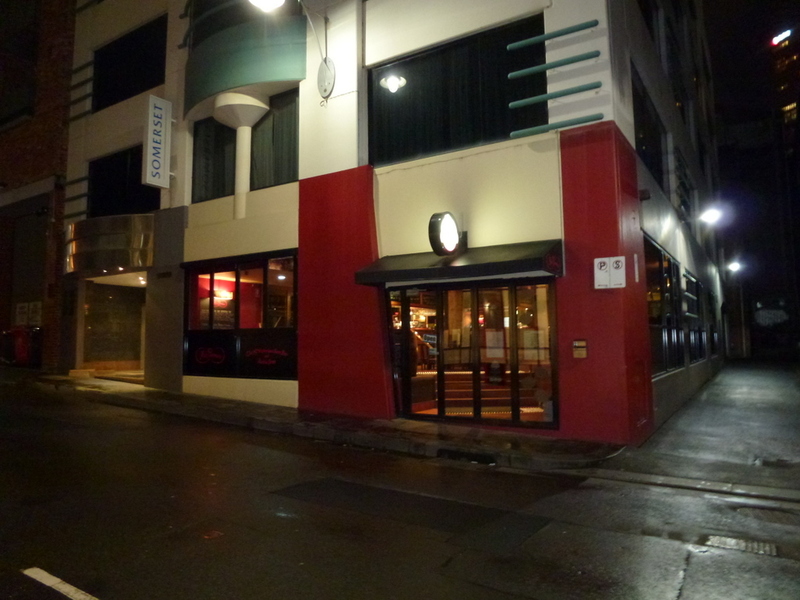 Just down the road from Mrs. Parma’s, heading back into the city centre, I was already acquainted with James Squire beers, which appear to be regulars on Qantas flights to and from the UK and within Australia. “The Chancer” Golden Ale offered much needed respite from in-flight staples such as Heineken and Stella Artois. 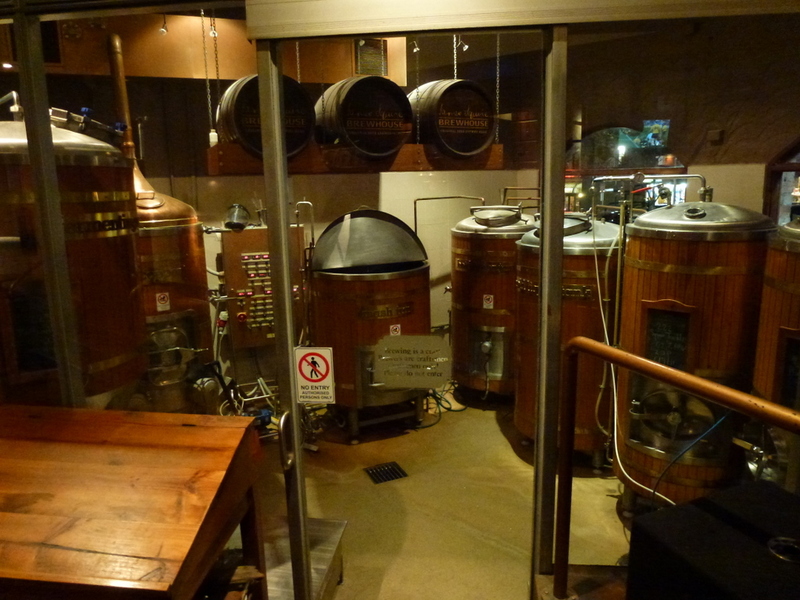 In keeping with its billing the James Squire Brewhouse does actually brew on site, the equipment being visible to the right hand-side of the main entrance. While not especially well heralded by the locals (perhaps because the brand is owned by antipodean brewing giant Lion Nathan), James Squire beers are well-balanced, consistent and, commendably, not served icy cold. Certainly I wouldn’t be unhappy to consume the James Squire Porter I sampled on the premises again, which offered a moreish soft, roasty, somewhat wheaty experience. A decent regular beer even if it’s unlikely to attract much in the way of gushing praise. With my alcohol “accumulator” fast filling up I headed for Young and Jackson, where a showcase was in progress of beers from the Mountain Goat Beer brewery. This would at least go some way towards compensating for the lack of opportunity to visit the Goat Bar at the brewery during my visit, as a result of poor timing. It’s only open Wednesdays and Fridays, i.e. when I was in Sydney. 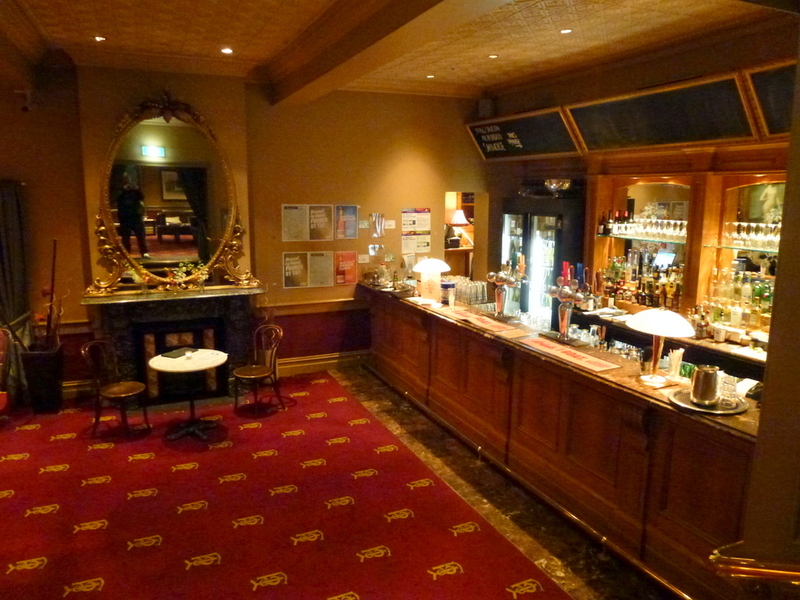 A Melbourne institution, the huge, multi-floor Young and Jackson pub has undergone something of a rebirth in the past few years after falling on hard times and had been – according to my Melbournite chums – a bit of a dive. While the bad old days may now be over at Young and Jackson, it seems as though some of the patrons from those days may not fully appreciate the profound changes the cavernous place has undergone of late. The concurrent arguments between two middle-aged couples in the beer bar encouraged me to move on quickly. I did, however, enjoy the limited release Mountain Goat Rye IPA (or RIPA, 5.7%) that I sampled, which delivered exactly what it said on the tap: lots of spicy rye (a favourite flavour of mine when used in whiskey or vodka but hard to describe in words) and plenty of New World hops. And there were other reasons to visit Young and Jackson, most notably the opening of a rooftop bar devoted to cider, both imported and locally produced. A first-of-its-kind bar in the whole of Australia, I couldn’t pass up on the opportunity. But that, and the growth in interest in cider in Australia more generally, is a topic for another post. There’s clearly an awful lot more to the Australian microbrewing scene than a few days of work interspersed with a handful of opportunities to sample a cross-section of brews will allow me to uncover. And what I did try makes me rather envious of my Australian friends and colleagues for who the journey of discovery is really only just beginning.